Friday, April 7 is World Health Day, celebrated on the same day each year to honor the founding of the World Health Organization and to promote greater health awareness. Dr. John Poothullil is committed to helping people prevent Type 2 diabetes from impacting their life. You may not believe that one day, you may develop diabetes, but the incidence of diabetes is increasing. About 10% of the US population is fully diabetic, and 30% of adults in the U.S. over age 20 are prediabetic, meaning they have high blood sugar. Worse, 9 out of 10 of them do not know they have it and 30% of them will develop diabetes within 5 years. Diabetes leads to many severe complications over time, yet it can be prevented and even reversed. 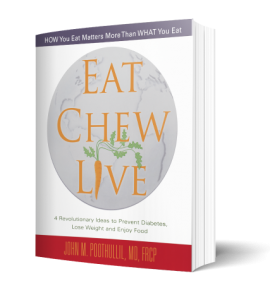 To help as many people as possible learn how to avoid diabetes, Dr. Poothullil is offering 100 copies of his book, Eat Chew Live at a special discounted price. This book explains why diabetes can be prevented and that it is not caused by insulin resistance, but rather by the consumption of grains. You will learn about the true cause of diabetes and how you can alter your eating patterns to prevent or reverse diabetes, as well as lose weight and take control of your health. Be among the 100 people who can purchase a copy of Eat Chew Live for just $10.00! Get this vital information at a 65% savings; includes shipping and handling!! 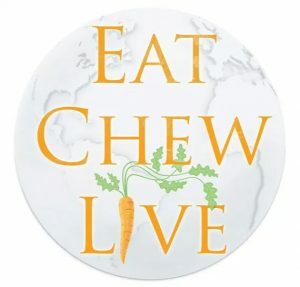 Eat Chew Live will change your life or the life of someone you love. You or a loved one may have high blood sugar—and not even know it. (1 in 3 adult Americans does!) You may believe you are destined to get diabetes because your mom, dad, or aunt has it. Or you may already be a diabetic who worries that you will have to take medications or shoot insulin for the rest of your life. Don’t take a risk with diabetes. It can lead to serious health complications including blindness, heart attack, stroke, kidney failure, amputation, and more. (In men it can cause impotence!) Eat Chew Live will inspire you to see your relationship with food in a new way. Dr. Poothullil’s thoughtful recommendations about how to eat and enjoy food will gently guide you to lose pounds, empty your fat cells, and return to your “authentic weight.” If you are on diabetes medications, you may be able to reduce or even stop them.